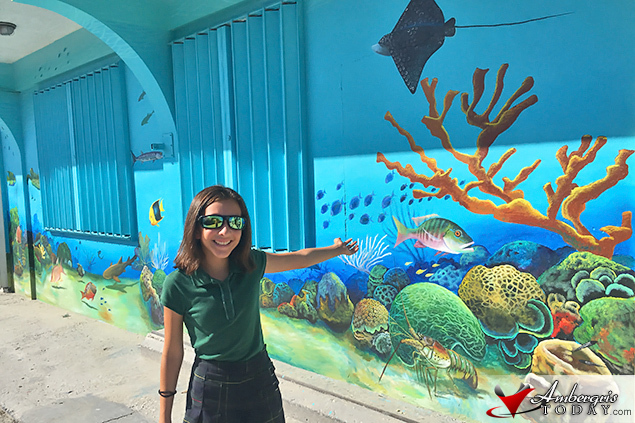 Madi was so excited to see a new mural in town depicting Belize’s Barrier Reef. 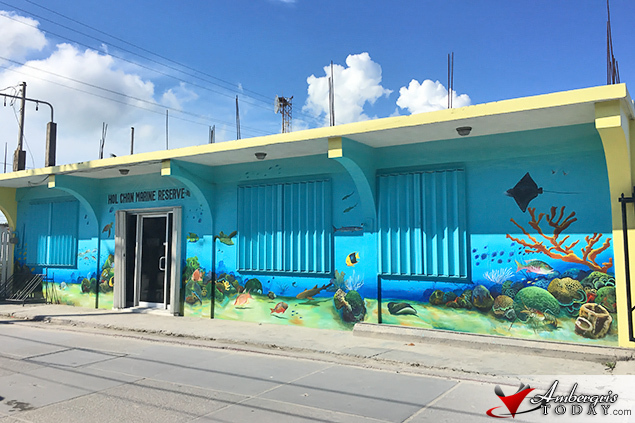 Hol Chan Marine Reserve Office commissioned the talented work of local artist Eruterio Carillo of Chuy Arts to bring the colorful underwater world to life on the building’s walls. 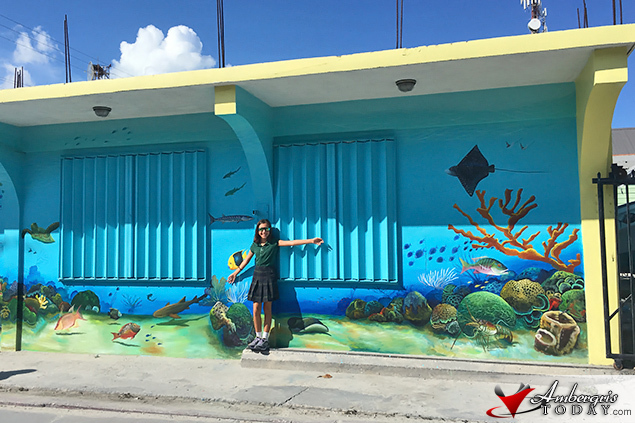 It took four and a half days to complete with the staff constantly giving the poor artist additional things to add in, even an additional wall to paint, but the results are amazing, says Hol Chan. 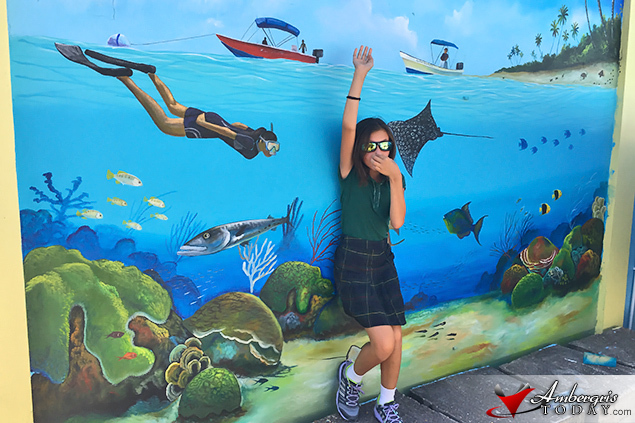 Well the final product is wonderful and Reef Warrior Madi approves with with a huge smile and a big thumbs up! 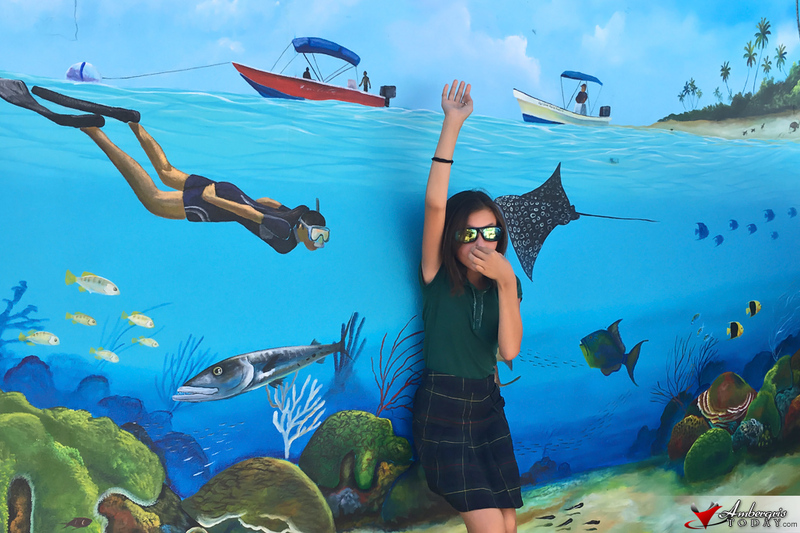 The Hol Chan staff hopes that the San Pedro community will enjoy the mural, take selfies and maybe feel a little more connected to the reef each day as they pass by.